Of course, it is nice to be able to present good numbers to the customer in a meeting. You can make an even better impression if your presentation looks amazing. 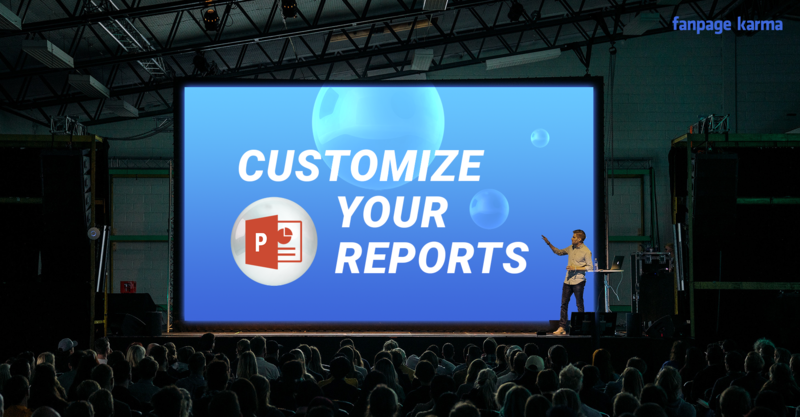 We now give you the opportunity to give your PowerPoint reports an individual design. Whether the wallpaper for your company or different ones for different customers or quite simply in the color of your choice. Your creativity has no limits when designing your presentation slides. Have you already presented your Results for January? No? Then start right now! Choose a background and a logo and export your analyzes. You can download all post rankings, graphs and chart boards as PowerPoint. For those who are new to Fanpage Karma, feel free to try any analysis for two weeks with your team.